Guardia Civil Car involved in a seriously traffic accident. Yesterday 3 people have been injured in a traffic accident, when a truck crashed with the police car which had stopped on the hard shoulder to help a motorist . 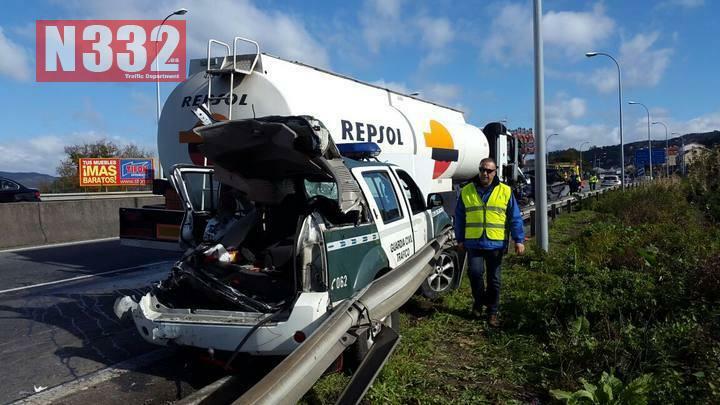 It took place on the motorway Ap-9 (Vigo).